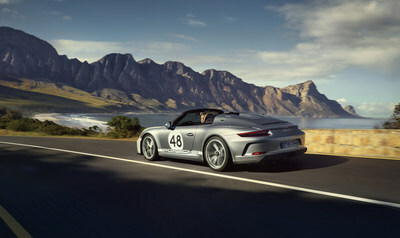 ATLANTA, April 17, 2019 /PRNewswire/ -- Following the unveiling of the 2019 911 Speedster yesterday, Porsche introduced the optional Heritage Design Package for the limited production sports car at the New York International Auto Show. 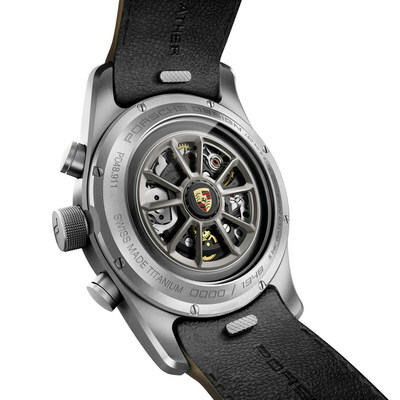 Developed by Porsche Exclusive Manufaktur using the highest levels of craftsmanship, the Heritage Design Package links back to the roots of Porsche with numerous classic-inspired styling and design elements. Exclusively available in conjunction with GT Silver Metallic paint, as a tribute to the golden days of motorsport, the front bumper and front fender "arrows" are painted in White. The "gumball" styled graphics in White on the front luggage compartment lid and the doors were inspired by historic Porsche 356 models, whose owners decorated them individually as they participated in races at the time. These areas can be fitted with individual start numbers via Porsche Tequipment, or the customer can order the vehicle without these stickers if desired. The historical "Porsche" decal along the sides of the car completes the classic-inspired exterior look of the vehicle, as well as the historic Porsche crest on the front luggage compartment lid. The 20-inch center lock wheels of the 911 Speedster with Heritage Design Package are painted in Platinum Satin and can also be ordered in Silver. Like the front luggage compartment lid, they are also decorated with a historic Porsche crest. The calipers of the standard PCCBs are painted in Black and feature white "Porsche" lettering to suit the classic appearance of the package. "Speedster" model designations in gold at the rear of the vehicle and on the sides of the characteristic streamliners further underscore the exclusivity of the Heritage Design Package. The interior of the 911 Speedster with Heritage Design Package features a distinct classic look with a two-tone leather interior in Black and Cognac. The standard Full Bucket Seats are upholstered in Cognac leather and decorated with a historic Porsche crest that is embossed in the headrest. The seat backs as well as the interior trim pieces are painted in the exterior color of the car, GT Silver Metallic. Cognac was also the color choice for the 12 o'clock center marker on the steering wheel as well as the center console lid, which features embossed "Porsche Exclusive Manufaktur" lettering. The raised "Speedster" model designation on the interior trim as well as the limited edition plaque located between the seats, both of which are featured in gold, represent further highlights of the Heritage Design Package. Established in 1984, Porsche Cars North America, Inc. (PCNA) is the exclusive U.S. importer of the Porsche 911, 718 Boxster and 718 Cayman; Macan and Cayenne; and Panamera. Headquartered in Atlanta, Georgia since 1998, PCNA is also home to the first Porsche Experience Center in North America featuring a module-based 1.6 mile driver development track, business center, and fine dining restaurant, 356. 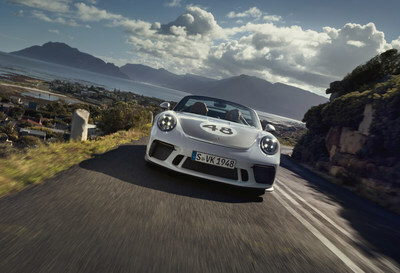 The company operates a second Porsche Experience Center near Los Angeles. That 53-acre complex features a driver development track with eight educational modules totaling 4.1 miles, a business center, and Restaurant 917. PCNA employs over 300 people who provide parts, service, marketing, and training for 191 dealers. They, in turn, work to provide Porsche customers with a best-in-class experience that is in keeping with the Porsche brand's 70-year history of leadership in the advancement of vehicle performance, safety, and efficiency. 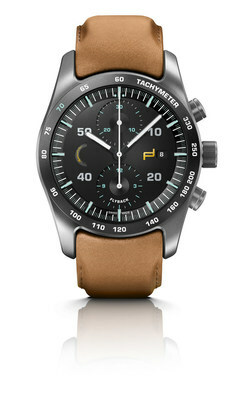 PCNA is an indirect wholly-owned subsidiary of Porsche AG, which is headquartered in Stuttgart, Germany.